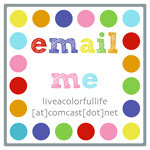 Live a Colorful Life: Psssst....I'm on pins and needles! I'm over here as a guest, talking a little bit about thread, needles and pins. I wasn't planning on doing another giveaway so soon after Sherbet Pips, but this one was actually in the works for quite awhile, and Pips was definitely a spur-of-the-moment giveaway. Do you remember when I wrote about buying fabric strictly for one word on the selvage? Well, now you know the secret word: "chasing"! !I wanted to make Rebecca a customized pincushion plus another one for this great series she is conducting. This is her pincushion. I know she loves lavender, paisley, and mentioned being a "girly girl". I hope you check out Rebecca's great series, Quilting 101. And don't forget to leave your comment. Happy sewing! I loved your post over at Chasing Cottons. The pincushion is so cute! Love Rebecca!! OH an love you too!!! Thank you for all of the helpful information on Chasing Cottons. I love the pincushions. They are adorable! Thanks for all of the great info on thread and needls. I love the pin cushions! I love your pin cushions, I also love the tutorial, it is a very good idea and will be available long afterwards for those who are starting out. Thank you for the great post on Rebeccas Blog site. I would love to win a pin cushion. A girl can never have enough shoes or pin cushions (or sewing notions). Loved the tutorial! I am having fun in Quilt Class also. Bec had her gorgeous pin cushion at Guild on Thus night. I LOVE,LOVE,LOVE it!! Chasing? I have a collection of selveges that I have yet to do anything with. I love the pin cushion and think it is so wonderful how you create from the selvage. Your post was really helpful. Your pincushion is soo cute. Thanks for a chance to win one. I DO remember that post and I thought how much time it would take to look through bolts of fabrics for one word on the selvage! But I guess it was worth the hunt! Darling pin cushion! The pincushion for Chasing Cottons is very cute. I'm enjoying the Quilting 101 class - especially about sizes of needles and pins today. Thanks for the giveaway of this special prize. Thanks for your info for the Quilting 101 class. As a fairly new quilter I value info that veterans have to share. I love your pin cushions, great talent. Such a cute pincushion - I am really enjoying Rebecca's classes ! You're so funny - love your sweet pinnies. I buy fabric for so many reasons. Mostly I have no idea what I will be making with it. Buying fabric for a word on the selvage sounds perfectly fine to me. :) Love that cute pincushion. How cute! I am really enjoying this class :) Thanks for your post. Oh..I want one...please pick me!I saw your pin cushion from Chasing cotton..I hope i will win..
Great post, Cindy! Don't enter me in the giveaway though - I already have one of your beautiful creations. Oooh! What a lovely pincushion - selvedges are my Achilles heel! I have already won a pincushion from you but I love it so much I am going to enter this giveaway too! A girl can never have too many pincushions!!! Enjoyed the posting over at Chasing Cottons! Cute pincushion!! Your post on Chasing Cottons is really "spot on"!! Great information in an easy to read format. Your selvedge pincushions are so adorable, such a cute idea! I'll be reading out your post to my craft group next week.... I'm always telling them about changing needles but I don't think they believe me!!! I've come from chasing cottons! 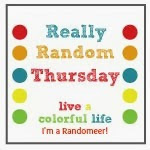 I love the chasing cottons blog and yours! thanks for the post over at Bec's blog and for the cute giveaway! So much thought and originality in your pincushions! They are to be treasured and used with love. oh my these are so stinkin' cute! It's about time I update my old school red apple pincushion! great guest spot on Chasing Cottons! thanks for the thread link!! Cute, cute pin cushion. The quilting 101 tute at quilting cottons is a wonderful idea. Can't wait to start! very cute pin cushion! I am following quilting 101 and got sent here from there! Really liked your post on Chasing Cottons. THanks!! Also, very cute pincusions. Thanks for the great tips on "Chasing Cottons" today. No matter how much you might know, you can always learn more. I would love to win one of those adorable pincushions. I just read your post at Chasing Cottons. Great post. I learned things that I didn't know before so thank you! In my post there I did leave a question on one part of the post that was a bit confusing to me however. From the time I first saw things created with the selvedge I've wanted to make something similar. I stil don't have enough to do that yet however. Some day I guess. I LOVE the pincushions you make. Those are just adorable. I'm so enjoying this online quilting class! I've loved fabric and color my whole life and am just now free to start spending more time on my fabric addiction. Great tutorial today by the way....and I'd so love to win one of your utterly lovely unique pin cushions!!! Red tomatoes are so blah ....although I do have a fairly nice Japanese one from my mother that I treasure. OH, I love your creative pin cushion. I would put it to good use~! Like you, I pin a LOT. Thanks. I would love to win the pin cushion...what a lovely idea. I just discovered your blog. I think selvages are great. I'm a firm believer in recycling and using up everything. This reduces all waste and adds something special to things we make. I'm ready to start my own pincushions. Love the pin cushion! What a cool idea. I would love to win it. What a great post on pins and needles over at Chasing Cottons. And I love your selvage pincushions. Hope I'll have a chance to win one! Thanks! Loved your post over at Chasing Cottons and love those pin cushions. I'm definitely going to have to make some for myself. Thanks for a great tutorial full of useful information. What a lovely idea. I always open the FQ's to be sure I get the words/dots. My jar is overflowing and I'm trying to decide what to do with them all. I love the pincushion, so I'll have to dig for some good words. Thanks for the interesting post at Chasing Cottons. I often struggle with cotton and needle sizes for some project I work on. I really quite like this pincushion, and even though I obsess over paisley, I could definitely live with one that says "sew sew"! Thanks for the chance. Thanks so mcuh for your information and advice regarding thread, needles and pins. I can never remember the numbering system for needles, and have to peer at the packets in the shop. I took a break from sewing all my squares (Quilting 101 homework) to read your post. Fantastic information, I ordered some thread today, but had to get it shipped to my mom in Canada because they do not ship to Australia! Lucky I am going home in a month. Love your pin cushions! Do you have a tutorial to make them? Words are awesome and so is fabric! Great pincushions! Would love to win one! Thanks for the chance. Your pincushions are amazing. I think that Rebecca is one lucky woman!! Thanks for the info on thread, needles and pins. These are so cute! I love the way you've used the words on the selvedge to actually say something! And thanks so much for all the great tips in your guest post. I never knew what the numbers on thread actually represented. Good to know! Just came over from Rebecca's blog -- wonderful guest post. Thanks for all the helpful tips! Thanks for the information on threads and needles. The pincushions are adorable. Thank you for the informative post over at Chasing Cottons. I must say your pin cushions are just so pretty. Lots of thought and love in each pin cushion. Great post, and even greater pincushion! I finally started saving my selvages and am beginning to have a few really pretty ones. This one is a great inspiration! The pincushion is adorable! I love it! Thanks for the giveaway! Love your selvage work...so clever. I am enjoying the Quilting 101 classes over at Chasing Cottons! Thanks for sharing. I love this pin cushion and I loved your post on Chasing Cottons' blog! Thanks for the info, it is very helpful. Great 'class' over on chasing cottons! I loved all the info, especially about thread. I have always used cotton thread, as it just made sense to me with cotton fabric & batting. My local shops only carry 100% cottons in white/off white. All the pretty colours are poly & I can't bring myself to try them. I can't understand why they don't beef up their cotton thread. It bothers me to no end! The pincushion is inspired -and the post on threads, needles and pins was superb!